Less marked in Australia but nevertheless significant in the sweep of world history is the 75th anniversary of the assassination of Trotsky in Mexico, 20 August 2015. An important figure in Soviet Russia in the earlier years after the 1917 Revolution, Trotsky has tended to slip beneath the pages of history in recent decades, even before the Empire he had a hand in starting went the same way (at least in the Soviet incarnation). There was a time when Trotsky had avid followers in this wide brown land. The World Socialist Web Site, a Trotskyist stalwart of the 21st century, has a lengthy appreciation from its perspective to mark the anniversary. There is also another perspective from the Socialist Worker. There is a little newsreel from the BBC also but hardly a mention in other mainstream media. 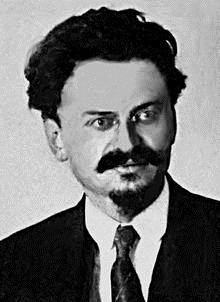 There are masses of Trotsky’s works online. Finally, full of grinding axes, spirited and ten years old, there is a piece from the late Christopher Hitchens.